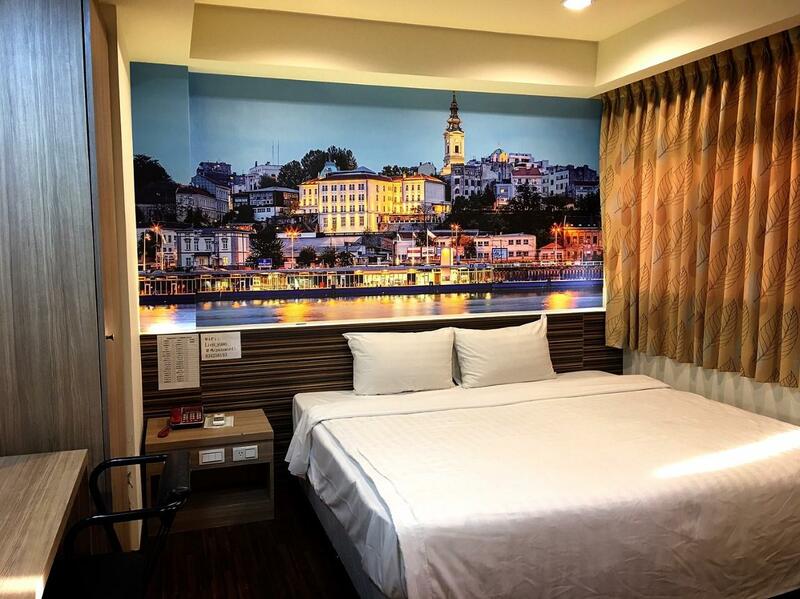 Имате въпрос към Lotus Yuan Business Hotel? Удобно проектиран като за бизнесмени така и за почиващи туристи, Lotus Yuan Business Hotel е идеално разположен в Район Zhongli - една от най-посещаваните части на града. Този 3-звезден хотел е леснодостъпен, тъй като е само на 17.2 km от летището. С удобното си местоположение хотелът предлага лесен достъп до всички градски забележителности, които задължително трябва да се видят. Предлагайки висококачествени услуги и широка гама от удобства, Lotus Yuan Business Hotel Ви осигурява възможно най-комфортния престой. Гостите на хотела могат да ползват съоръжения като 24-часов рум-сервиз, безплатен WiFi достъп във всички стаи, обществена пералня, таксиметрови услуги, 24-часова рецепция. 47 стаи са разположени на 3 етажа като във всяка една от тях цари неповторимото усещане за домашен уют. Модерен комфорт с удобства като безплатен чай, гардеробна, хавлии, дървен/паркетен под, пантофи са на разположение в определени стаи. Освен това в хотела можете да се възползвате от множество предложения за приятно прекарване на свободното време. Каквито и да са поводите за Вашето пътуване,Lotus Yuan Business Hotel е най-доброто място за престой, което можете да изберете в Таоюен. Pets are welcome and are subject to a cleaning fee of TWD 100 per pet. The staff were nice, very helpful though they speak little english. Room is spacious with complete toiletries. Not for family with kids, though. It’s more of an adult hotel. Good thing we were there for just 8hours. This hotel is a bit rundown, its location isn’t too great but suitable if you just need to get to the airport. The rooms are nice and well kept as advertised, however the hotel is located on 6th floor and requires going through a small hallway that is rundown and doesn’t feel safe. I didn’t really like the surroundings of the hotel. The hotel service was acceptable, I arrived early and could not check-in early but had to go. They told me to leave my luggage in front of the front desk, I would have preferred if they had stowed it away from sight. I checked out at 5am, there was people at the front desk. I asked them to call me a taxi however the car that came to pick me up was a black van and didn’t seem to be a registered taxi which I did not appreciate as it felt very unsafe for a female solo traveller. I took an alternative registered yellow taxi instead - which are used throughout Taiwan. I am unsure about the legitimacy of the black van as a “taxi” as this is the second time I have been in Taiwan, totalling more than a months time, and I have heard of taxis that are not yellow with the registered taxi company information printed on it etc. 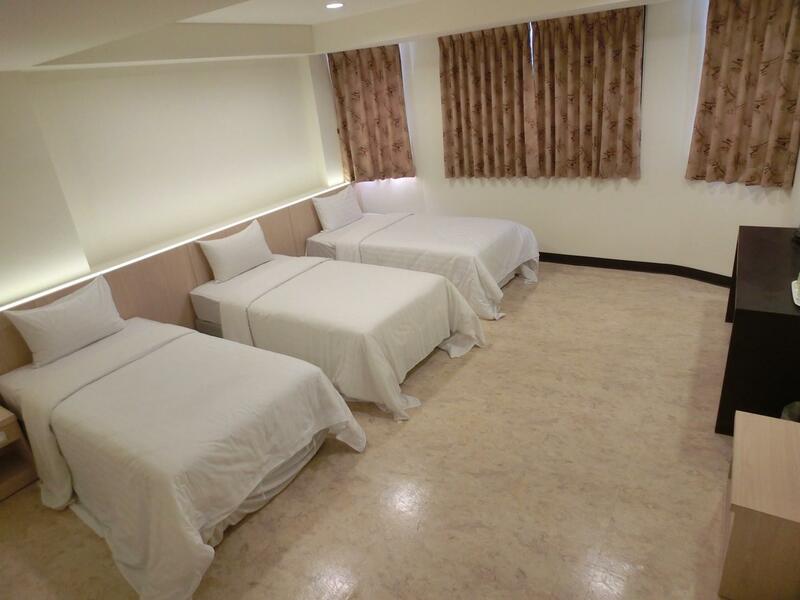 Its building looks old but the family rooms are spacious with comfy bed and spacious bathroom too (big bathtub). Cleanliness is acceptable and breakfast is not bad ... just not much choices. Overall is good! Thank you for your comments!! We will continue our efforts!! There is many cockroach in the room and the bed linen is super dirty. My Husband went to inform the counter and the staff come up with few piece tissue and intent to catch the cockroach with her slipper on and walk into the room. Lucky I just need to stay 1 night over there. Cigarette smoke smell is all around the corridor and inside room as well Not worth the value! 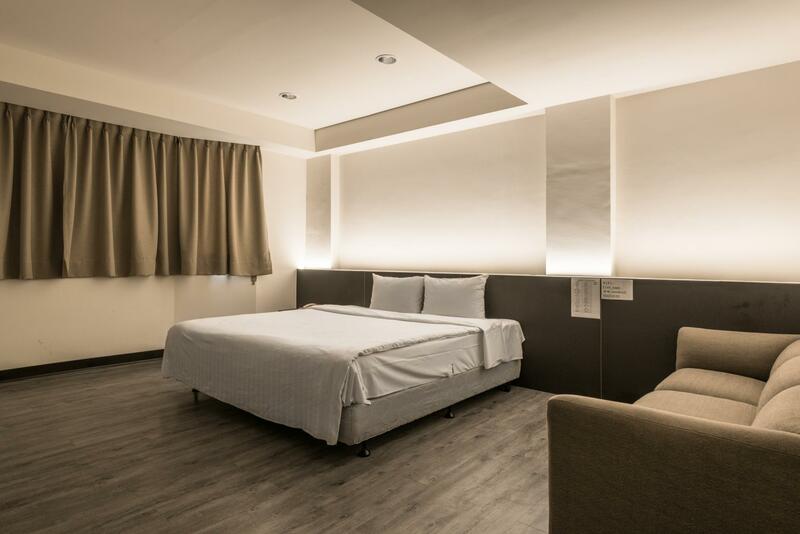 This hotel is very recommnedable, aside from the staffs are helpful and friendly the information staffs understand and speak english, though we had a minor issue on air conditioning, we were satisfied with the hotel's service. From our first day until our check out date we appreciated their help with our needs. Thank you very much for your message. We will continue to work hard! Very basic place, but gets the job done. was staying for a wedding. Was near the hotel the wedding was at. Wasn't too keen on the breakfast, but there's convenience stores all on the road it's on, so you can get whatever you'd like. Friendly staff. the staff very friendly. the couple room we get have baby cockroach. shall do more pest control. the air cond not working properly. we have to use standing fan to ventilate the room. the breakfast provided is acceptable. The environment is not suitable for the elderly and children. The staff is very helpful, but I hope the staff can have more smiles. Thank you. Rooms are tired & not suitable for young children Located in a back quiet area, you’ll have to move your luggages up to L5 for checking in. Lift is small & difficult for shifting. Rooms are not exactly clean - bed seems dirty & place is dusty. Overall - make shift place for a night’s stay, not suitable for kids for sure. I wouldn’t stay another night. Located in a back quiet area, you’ll have to move your luggages up to L5 for checking in. Lift is small & difficult for shifting. Rooms are not exactly clean - bed seems dirty & place is dusty. Overall - make shift place for a night’s stay, not suitable for kids for sure. I wouldn’t stay another night. Very spacious room. Basic breakfast but good enough. A lot of restaurant choices outside hotel. The drawbacks are lift to floor 7 don’t operate after office work, seems to hv outsider in hotel floor and TV had adult channel so parent travel with young kids have to be aware. Non Chinese-speaking travellers might find it difficult to locate the place at first due to lack of frontal signage. If you get a room that's not on the 6th floor, you can't​ take the lift to your immediate floor. Rooms are clean and comfy, but the walkway towards the lift looks a bit dodgy. I'll consider staying there again if I'm on a tight budget. there were so many place to eating, shopping and staff were kind and cute even they can't understand what I want to say. I couldn't have breakfast at the hotel because of my flight time so I don't know about it. It takes 30 mins from taoyuan airport by taxi cost $500- or so to the hotel. less than 10 mins to local station. there was no airport bus early time and night time . I really like there and hope to stay again. Thank you very much. While Jhongli isn't usually high on everyone's travel itinerary, I stayed here as a middle point between the airport, Hsinchu and Taipei, and it worked very well. 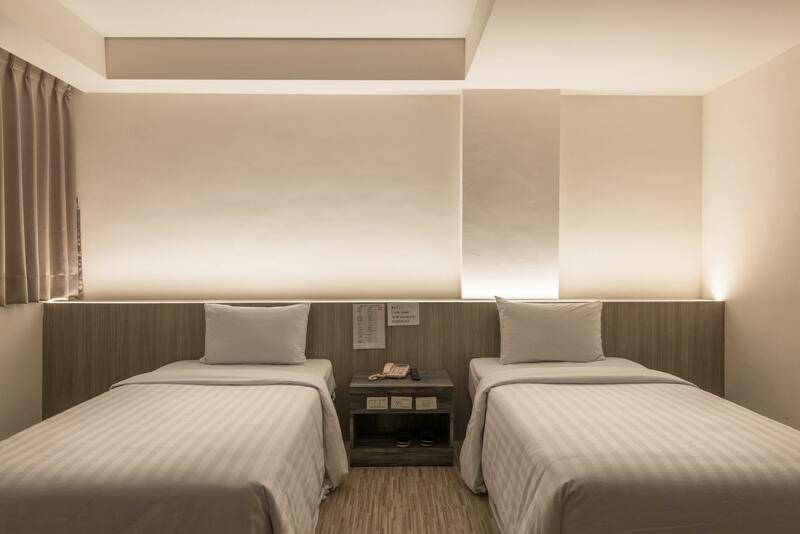 While like all hotels in its class it was showing its age, but the interior was fine, and the room was large and spacious, and much larger and cheaper than the same would be in Taipei. 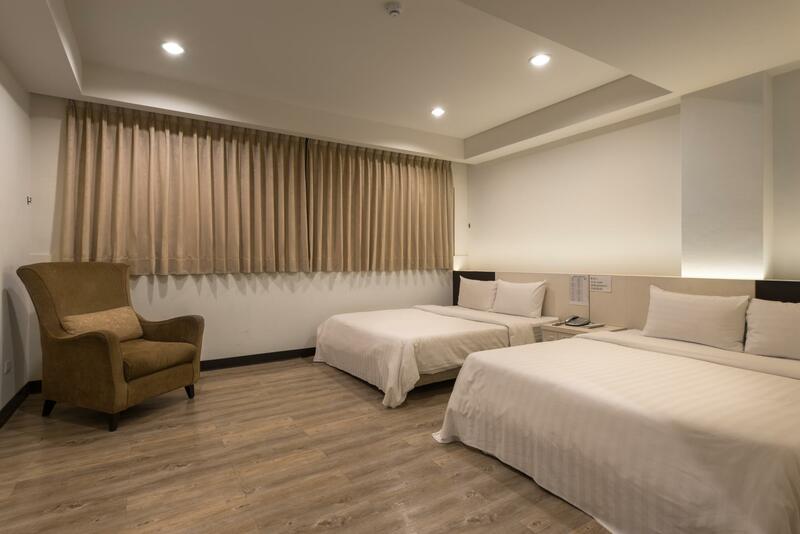 The hotel is about a ten minute walk from Jhongli Station, which is itself about half an hour from Taipei (fastest train), so it would be worth considering if Taipei hotels are full (or expensive), especially if you have a few days. It would also make a good stopover hotel (from Taoyuan airport), but as a tip if you miss the airport bus to Jhongli take the high speed rail shuttle bus to Taoyuan Station and then take the bus from there to Jhongli train station, and then get off a stop or two before the station and you can walk to the hotel. The breakfast was a simple, traditional Taiwanese breakfast, with a few good vegetarian options. I would recommend it and would stay there again. It was easy access to metro station, night market.